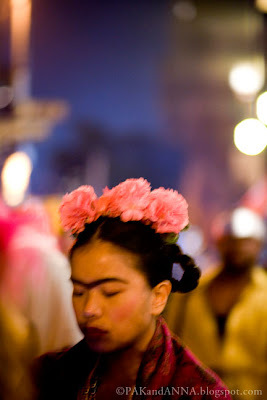 Seen in NYC: Beautiful Frida Kahlo. Where's our friend Diego hiding? 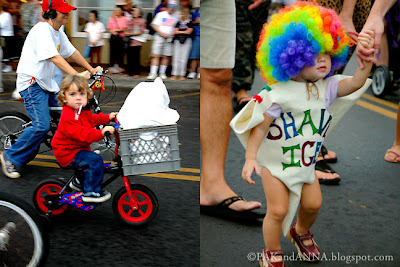 Seen in Lahaina, Maui: Extraterrestrials and icy treats! 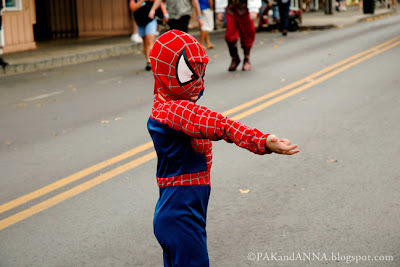 Spider-Man looking to net his Mary Jane. Please have a safe Halloween everyone. In memory of Yoshihiro Hattori. I recently came across an image by the hard-boiled artist and photojournalist Weegee (aka Arthur Fellig) that was unfamiliar to me. The photograph has to rank up there as one of the strangest yet most romantic pictures I've ever come across. 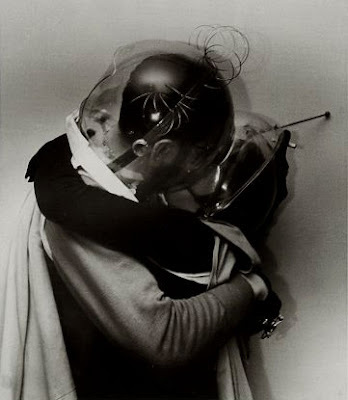 A couple of space cadets, lost in love, probably at a loft party in the Greenwich Village of yesteryear. Good for them! 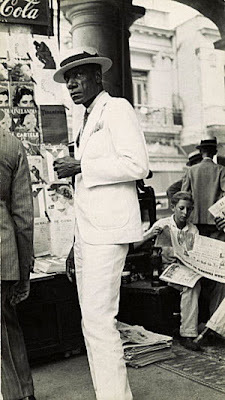 The image can be found in the book titled "Unknown Weegee", published by ICP/Steidl, 2006. 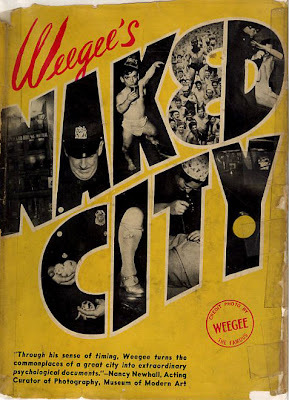 Weegee of course came to national prominence with the publication of "Naked City" in 1945 by Essential Books. 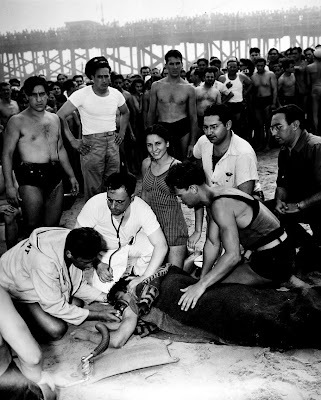 His gritty, after-midnight documentary photographs of New York City murders, nightlife, oddball citizens, social strata, and even romance inspired the 1948 film noir movie of the same name. 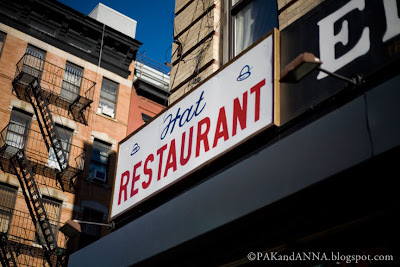 Wandering around Stanton Street on the Lower East Side, Pak and I came across a beautifully efficient sign for the Hat Restaurant aka El Sombrero. The food's supposed to be average at this New York Mexican standby, but the sign is fuel for a graphic designer. It made me think of and pull out The Hat Book from my personal library. With photos by Rodney Smith and design by Leslie Smolan and Jennifer Domer of Carbone Smolan Associates, this whimsical publication is a winning example of classic 90s design. 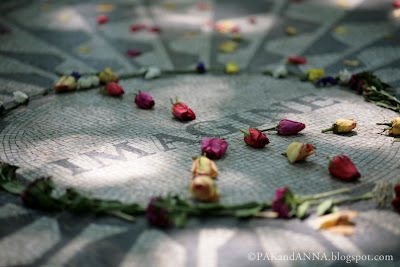 We officially begin our blog with a photograph of the Imagine mosaic (dedicated to John Lennon) at Strawberry Fields in New York City's Central Park. Although similar images are ubiquitous among the city's vendors and gift shops, it is still an important snapshot of the city to share. John Lennon wrote "Imagine all the people, living life in peace". But here we are, reflecting almost 30 years after John's death and well into the 21st century. For a multitude of questionable reasons, people and countries continue to become embroiled in war after endless war. Here it is, for the record. It is estimated that well over 20 million people died as a direct result of World War I. An estimated 60-70 million people lost their lives as a direct result of the conflicts of World War II. Overall, it is estimated that over 160 million people died due to the destructive wars of the twentieth century. Where are we headed now? Who or what are you fighting for?